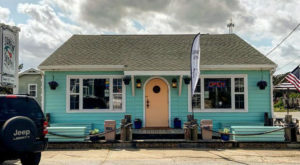 As the famous Robert Frost saying goes, “Two roads diverged in a wood and I – I took the one less traveled by, and that has made all the difference. 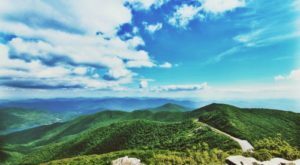 ” If that doesn’t encourage you to take one of these unique, Western NC hikes, I don’t know what will! Unleash your inner-adventurer this spring with these fifteen daring hikes ordered from most difficult-easiest. 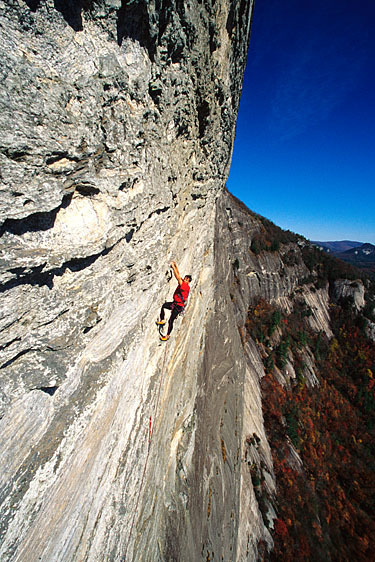 Perhaps the most strenuous hike on this list, Grandfather's profile is well worth it. 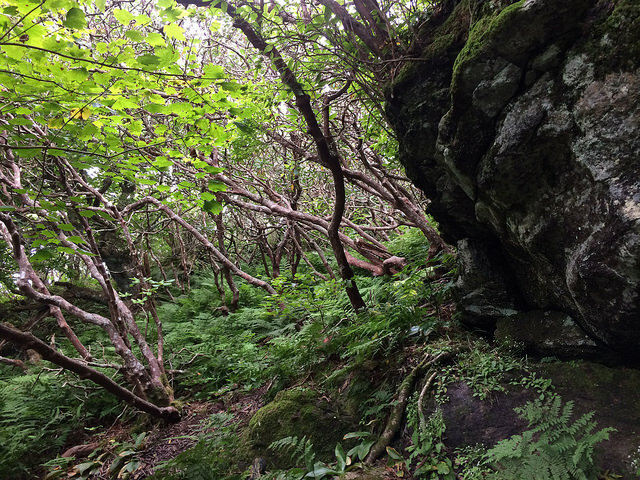 This 7-mile hike starts at a peaceful creek bed and leads you up to where the infamous Grandfather Mountain got its name. Large rock outcroppings and rare spruce-fir trees make for frame-worthy pictures. 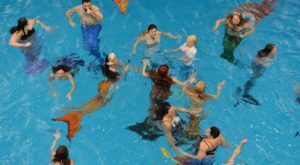 You'll want to periodically rest so bring your camera so you can snap some pictures! 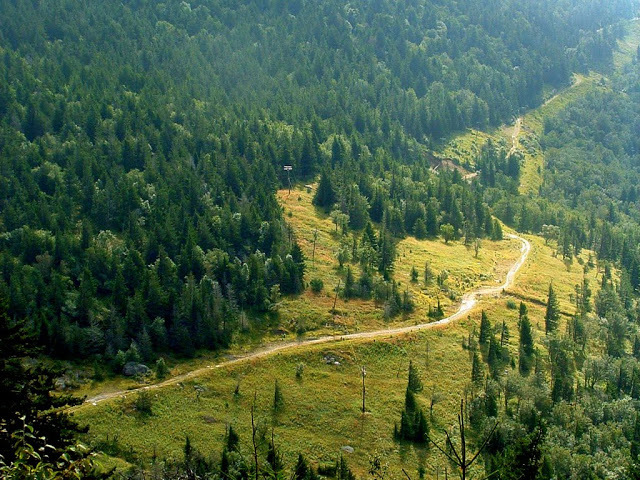 Make sure to bring your walking stick if you're planning to conquer this difficult 8.5 mile trail. As you hike you'll witness intimate creeks flowing peacefully in nature, untouched vegetation, and breathtaking mountain views in the distance. The challenge is worth it once you reach the beautiful Harper Falls. Not recommended during winter or when the water is high. Save the postcard for after the trip, and come see the site for yourself. 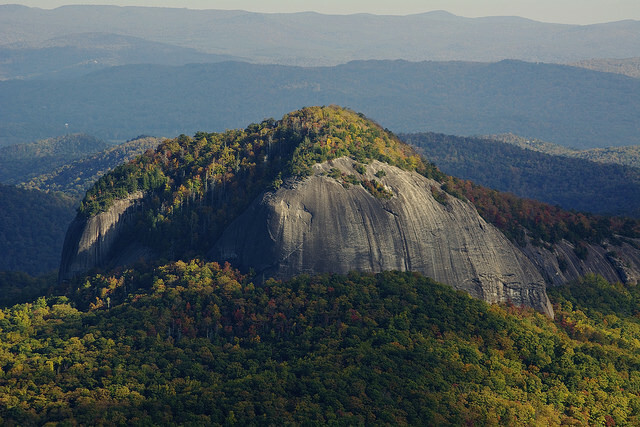 This 6.4 mile hike takes you to the infamous Looking Glass Rock. Composed of granite that is more than 3 million years old, this majestic landmark makes for a rewarding end-point to a strenuous hike. This more remote trail is a bit more difficult but includes plenty of rare eye-candy. 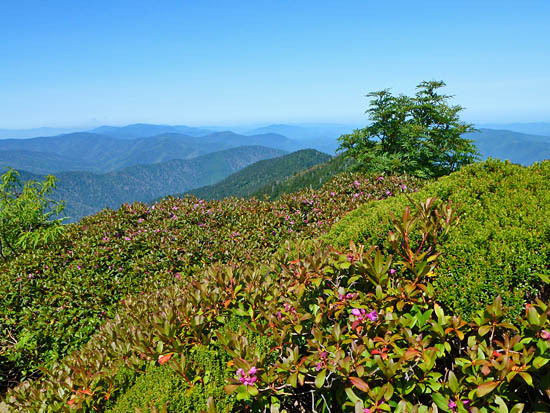 On this 9 mile hike you'll pass an unnamed waterfall cascading in the distance, cold mountain creeks, and rocky balds that lead to an impressive overlook in the Pisgah National Forest. Dare to be different and HIKE to the top of Mt. Mitchell instead of driving. This more difficult, hilly trail spans for 4 miles. Yet, you'll pass the historic Camp Alice, and witness the changing eco-system with each mile accomplished. While you won't be dangling on rocks, this 2.5 mile moderate trail takes you to the top of Whiteside Mountain. A 700ft. cliff leads little to be desired. 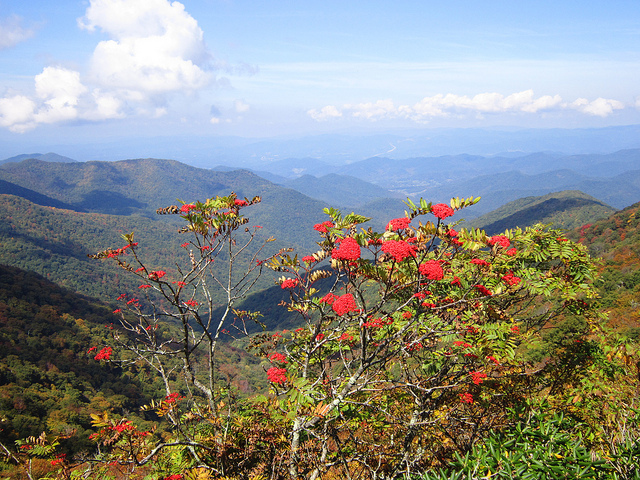 Its suggested the best time for hiking is mid-June as flowers overtake the rough terrain. 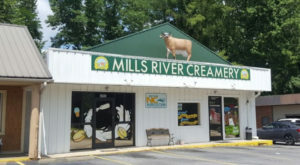 This unique, high elevation but moderately flat trail loops for 5.1 miles through crystal clear brooks, breathtaking meadows, and woods overrun with the natural beauty of ferns. For five miles its an easy hike. As a more quiet alternative to the popular Graveyard Trails, Flat Laurel Creek is escapism at its finest. This quite trail meanders for 2.5 miles through large open fields positioned at over 5000 ft. in the clouds. 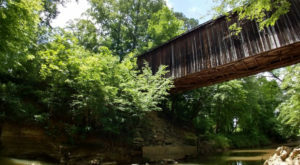 You can take an optional hike to Sam's Knob and a waterfall at Flat Laurel Creek. 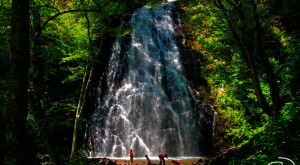 Erwin's View is one of two major hiking trails along the most popular falls in Western, NC, Linville Falls. 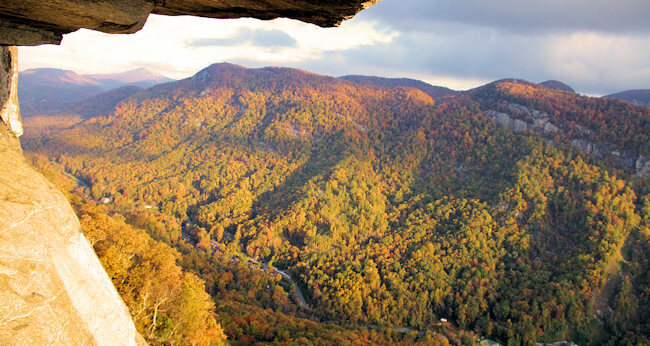 Erwin's view takes you to the three main lookout points of Linville Falls. On this 1.5 mi. moderate hike, you'll climb through majestic forests of old-growth Hemlock and White Pines to reach the famous Erwin's Views. 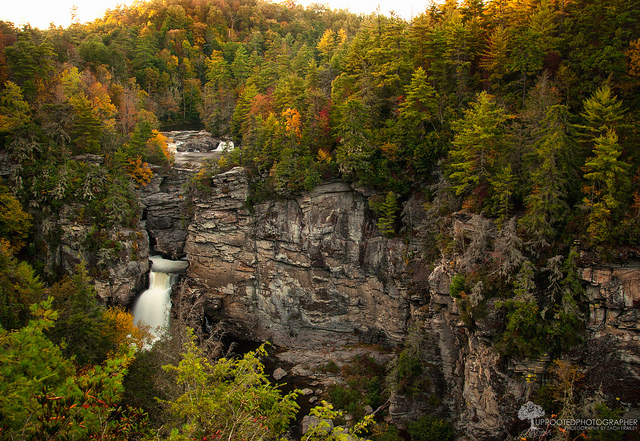 This view of Linville Falls is one of the most photographed on the east coast. 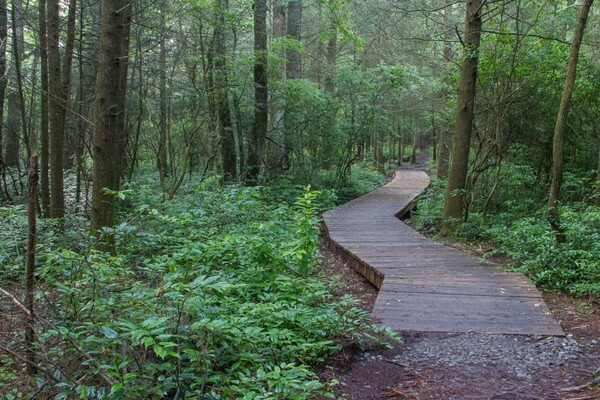 This popular trail is a short distance from a Blue Ridge Parkway overlook. 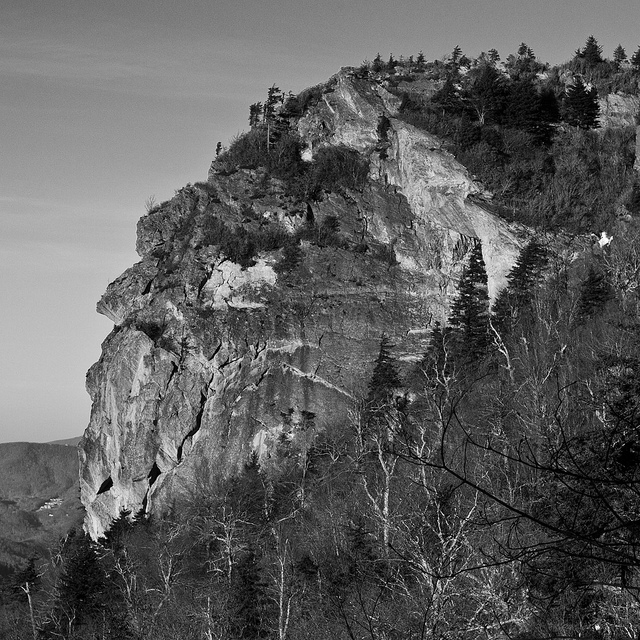 1.4 miles takes you to a high, rocky peak overlooking Craggy Gardens. In June Rhododendrons put on a spectacular show, blooming amidst the wild greenery. This vibrant hike takes you along diverse landscapes. 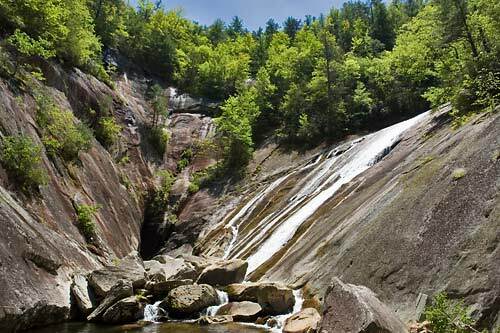 Starting on cliffs along the gorge and leading to the breathtaking Hickory Nut Falls, this moderate 1.5 mile hike is safe and fun for the whole family. 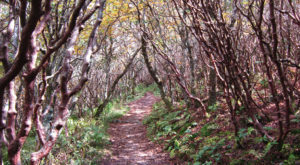 For those seeking a Walden-esque hike, this lesser-used trail leads you to open fields with Mount Mitchell looming in the distance. 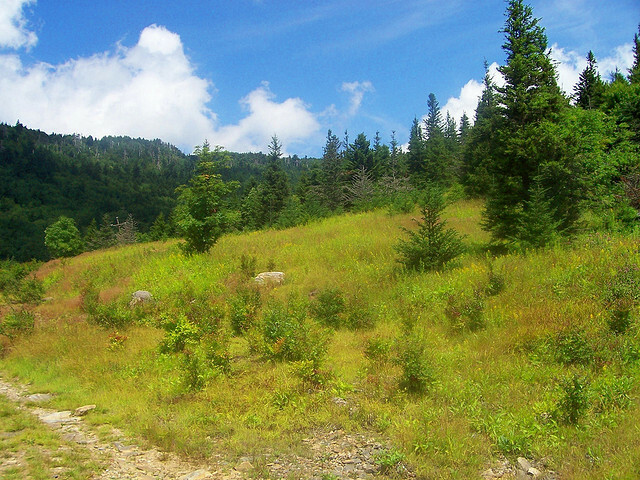 The quiet terrain and peaceful hike spanning 3.6 miles will bring back your inner zen. 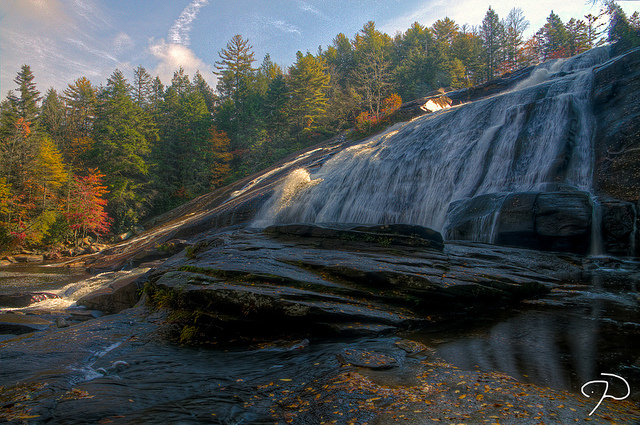 This .6-6 mile hike leads you to 5 of the 6 major waterfalls in Dupont State Forest. 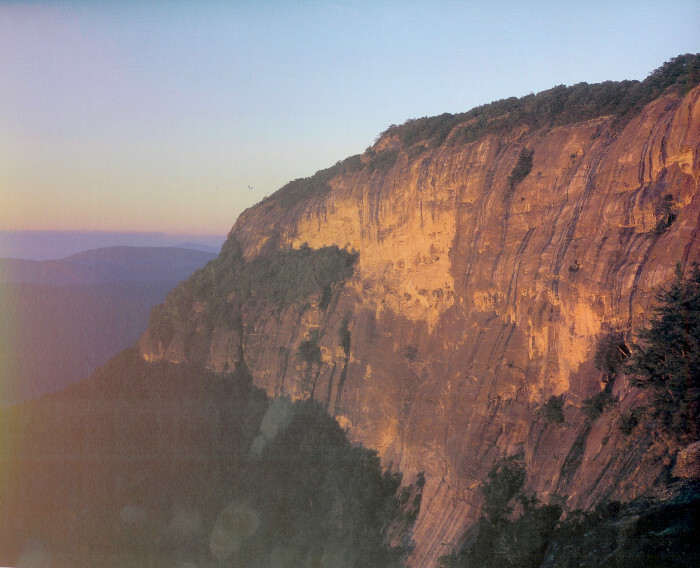 For a hike that continually rewards you with breathtaking views, its a great day trip. Make sure to bring your camera! This easy-moderate, 1.4 mile hike is filled with lush, twirling-trees lining the trails and piling on top of one another. 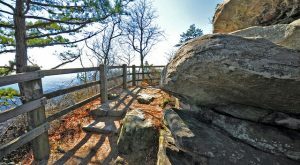 The enchanted but charted nature trail leads to a gorgeous summit lookout. In the summer there are bountiful fresh blueberries, perfect for a snack. And what do we get with the road less-traveled? Well, some killer glutes, breathtaking pictures, and a rekindled adventurous spirit. 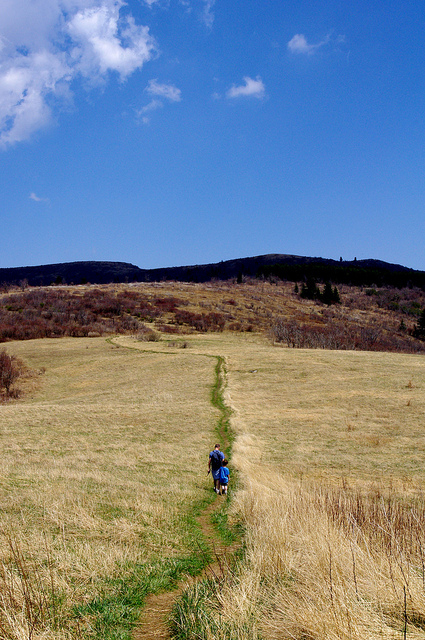 Which one will be your first hike this spring?